Ketona dog food was founded with one primary goal in mind: improving the nutrition of dogs by limiting their carbohydrate intake. It's something that this company feels so strongly about that they provide a whole range of free literature in order to help pet owners become better educated about their dogs' nutritional needs. The result is one of the most healthy, truly low carb dog foods on the market today. Dogs, Dog Food, and Dogma by Daniel Schulof, available on Amazon. The company was founded by Daniel Schulof, the author of the groundbreaking book "Dogs, Dog Food and Dogma" that draws a direct link between scientific research and chronic disease. Growing from this perspective, Mr. Schulof created KetoNatural, a dog food formulated to provide your pet with the closest simulation of the type of raw meat diet his wild ancestors would have eaten. What makes Ketona dog food stand out from the rest is the fact that it is considerably lower in carbohydrates than any other dry dog food. While many foods from major manufacturers make claims about being "grain free" that doesn't mean that they are actually low in carbs. That's because they load their products with high carb fillers like potatoes that provide very little nutritional benefit but still allow them to make their claim of being "grain free" and healthy. Acana prides itself on providing "biologically appropriate" dog food made with 100% fresh, regional ingredients. Ketona Salmon Recipe Dry Food for Adult Dogs - Low Carb, High-Protein, Grain-Free Dog Food. Great review on Amazon. So why put so much emphasis on carbohydrates? That's a good question and it really doesn't take a lot of research to figure it out. Most human diets designed to help you lose weight and improve your health do so by limiting carbohydrates. That's because carbs carry very little nutritional benefit and can actually negatively affect your health by increasing insulin production and preventing the burning of fat cells for energy. 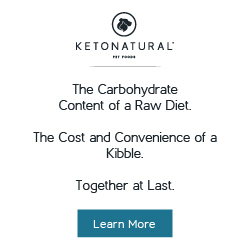 Not surprisingly, the same thing holds true for your dog, which is why KetoNatural and its low carb approach makes such a difference. Your dog's wild ancestors subsisted on a protein rich diet, consisting almost entirely of raw meat, with no carbohydrates whatsoever and that served them well. Over the years, dog food manufacturers sold consumers on dry kibble that consists of as much as 70% empty carbs. That's because these ingredients are affordable and easy to produce, making it easier on them but taking a toll on your dog's health in the process. Now Ketona dog food is offering a healthy "keto" alternative. More about the keto diet here. Ketona Chicken Recipe Dry Food For Adult Dogs - Low-Carb, Ketogenic, Grain-Free Dog Food. Available on Amazon. Unlike most commercial dog foods, Ketona dog food makes its chicken recipe using chicken as the primary ingredient. They don't use any wheat, corn, rice, potatoes or other empty carbs, instead getting all of their carbohydrate content—less than 8% total—from one source, peas. They also include added vitamins and minerals to ensure that your dog is getting all the nutrition he needs. The results are happier, healthier dogs with less body fat and more energy. The folks at Ketona are so sure you'll notice a visible difference that they even offer a one time, 30-day money back guarantee. 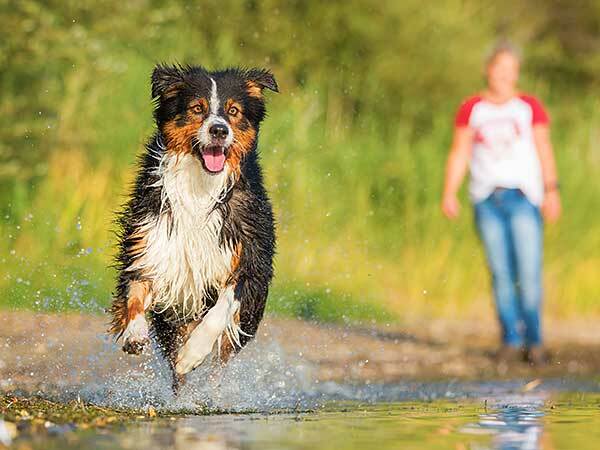 If you've got an active Australian Shepherd, KetoNatural can make a real difference for your dog's health. It's all about providing the real meat protein they need without loading up on empty carbs that can negatively affect their health. You want the best for your pet, so say no to carbs and give KetoNatural a try today. You'll see a real difference in no time—that's the Keto guarantee! Acana—What Makes Acana Dog Food Stand Out? Annamaet—What's So Great About Annamaet Dog Food? 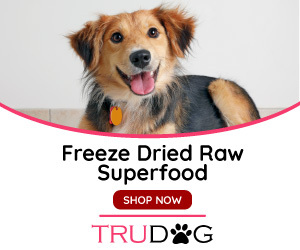 Fromm—Can You Trust Fromm Dog Food With Your Dog's Nutrition? Merrick—Should You Consider Giving Merrick Dog Food A Try? Nature's Variety—What Makes Nature's Variety Dog Food So Special?